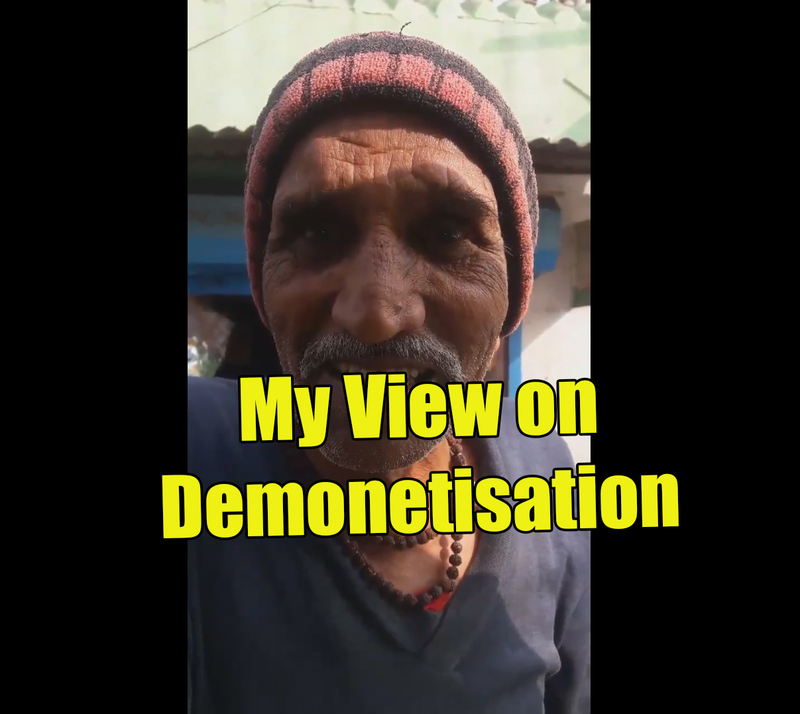 Facts4Funs: A Common Poor Man's Take on Demonetisation and Rs.500 & Rs.1000 Note Ban! You will be shocked. 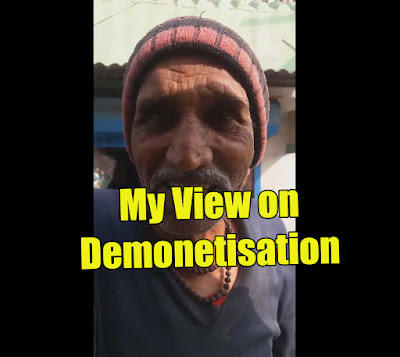 A Common Poor Man's Take on Demonetisation and Rs.500 & Rs.1000 Note Ban! You will be shocked. 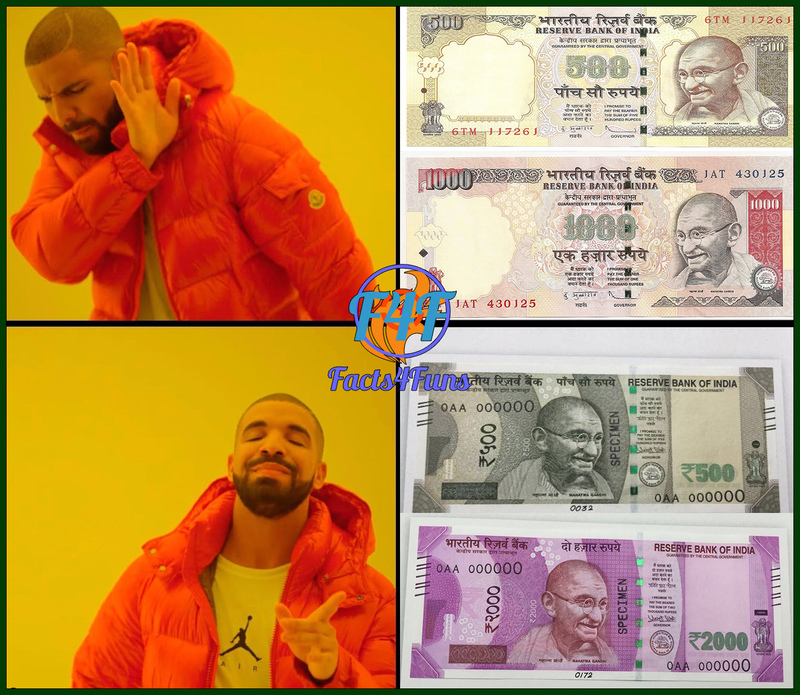 At 8 pm on Tuesday Nov 8th 2016, Prime Minister Narendra Modi announced that at the stroke of midnight on 8 November, 2016, the Rs 500 and Rs 1000 currency notes ''would become waste paper." This is the biggest ever crackdown on black money; a shocker to black marketers, hoarders and corrupt persons of all hues and in all walks of life. Many have accepted and praised the decision including Celebrities, Sports Person. But some people (mostly opposition political Party) have condemned the decision stating it to be useless. They are concerned about the rural illiterate ppl as how they will understand this whole sudden maneuver and will b cheated. Here is a video of a Poor Common man sharing his views on this bold step. One of the boldest decisions - though such decisions have been taken in the past- this shock treatment is the most effective. Minor hardships for the first few days will vanish as a dream & we will be back to normal with a bunch of advantages. But any system designer is bound to miss some point. 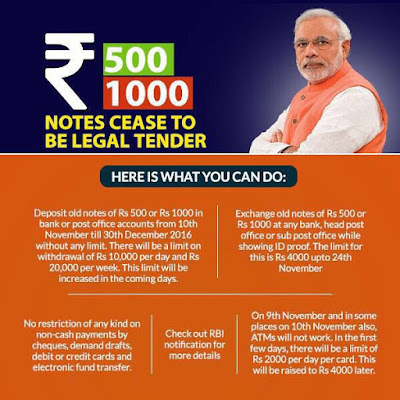 Here the procedure for handling the "returned-old-notes" is not defined elaborately. 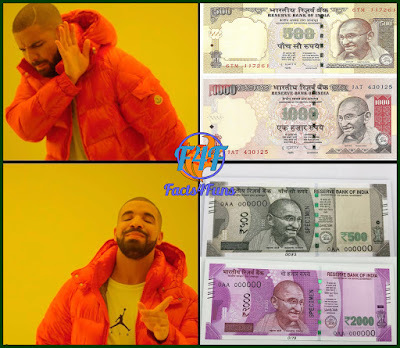 The system designer should have suggested to make the old note unusable either by a ink mark, making a big hole in centre or shredding it immediately. Now handling this "returned-old-notes" looms large in the reckoning. How it will be handled? 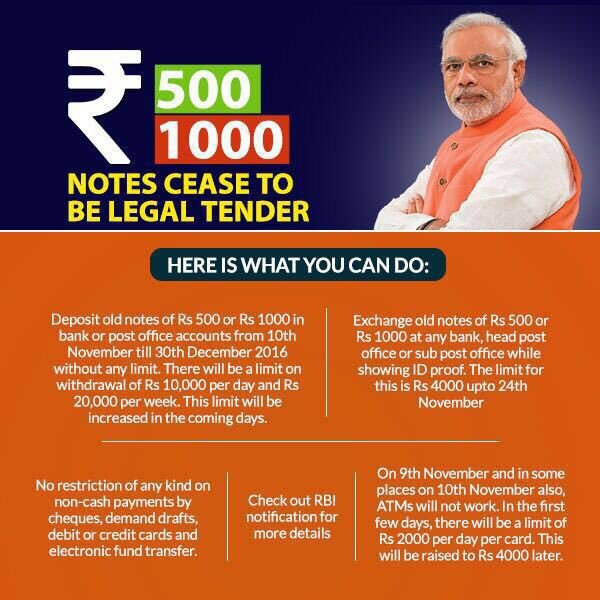 How we are going to ensure that note collected in one place is not presented again for exchange in another centre? But for this one minor oversight - the move will take us along a better economic path. Bravo Modiji.